Reagan Library & "Air Force One"
Today board your flight bound for San Diego to begin your California Coast Tour. Upon arrival meet your Tour Director to begin your two night stay in San Diego. Enjoy a Welcome Dinner this evening. Today enjoy a San Diego City Tour including the historic Gaslamp District, the bustling Embarcadero, Balboa Park and historic Old Town - San Diego. The aftternoon is at leisure. Perhaps join an optional excursion featuring the famous San Diego Zoo & a San Diego Harbor Cruise. This morning sit back and relax as you drive along parts of the Pacific Coast enroute to San Juan Capistrano. Visit the beautiful Mission San Juan Capistrano, one of the original missions built by the Spanish. Continue north for a panoramic Los Angeles City Tour featuring legendary Hollywood, Dolby Theatre, home of the glamorous Academy Awards, Grauman's Chinese Theatre and the Hollywood Walk of Fame. Next drive along the fabled Sunset Strip to the palm-lined streets of Beverly Hills and pricey Rodeo Drive. This morning visit the Ronald Reagan Presidential Library. The state-of-the-art museum takes you from Reagan's early years to his time spent as a world leader. The library also features the Air Force One used by President Reagan. Later follow the Pacific Coast north to Santa Barbara, one of California's most picturesque cities with spectacular Mediterranean architecture. Continue to the Pismo Beach area for your overnight stay. Today enjoy one of the most breathtaking coastlines in the world, scenic 17 Mile Drive, home to the famous Lone Cypress, Seal Rock and Pebble Beach Golf Course. Also drive through and visit quaint Carmel to view tree-lined Ocean Avenue. Later travel to Old Monterey filled with historic buildings and where California's statehood began in 1849. 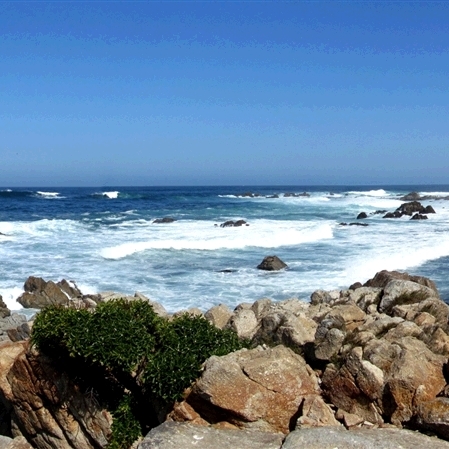 This afternoon enjoy time at your own pace to explore more of the seaside town of Monterey. Shop and eat in Cannery Row and Fisherman's Wharf reflecting the city's long history with the sea and maybe visit the famous Monterey Bay Aquarium. 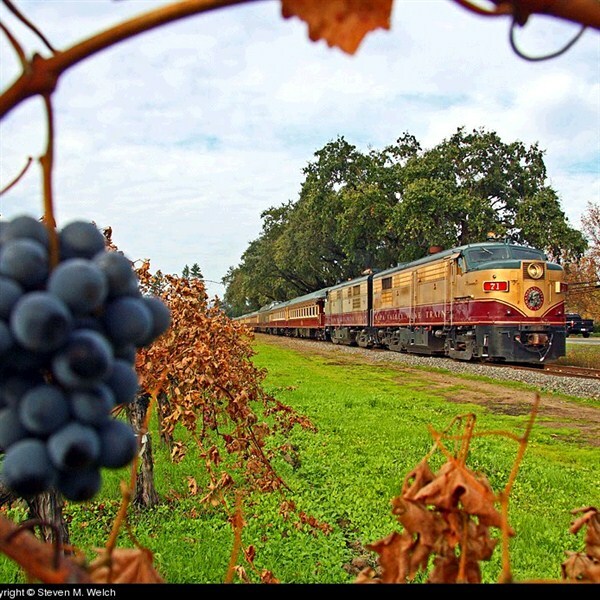 Journey inland through the fertile San Joaquin Valley, known as the breadbasket of California. Stop at a historic friut stand for a chance to buy fresh-off-the-farm fruits. Climb into the wooded Sierra Nevada Mountains and arrive at Yosemite National Park. Enter the spectacular Yosemite Valley to view the giant iconic formations of El Capitan & Half Dome and breatthtaking Yosemite Falls, the highest in North America. Enjoy a stroll and take in the immense beauty of this spectacular mountain setting. Enjoy dinner with your fellow travelers tonight. Travel through the Sierras into Gold Country. Step back in time and experience the days of the Gold Rush at historic Old Sacramento. Later drive into the famous Napa Valley, an area of spectacular scenery and home to some of the world's best wineries. Stop for a Winery Tour & Tasting to sample the local product and learn abourt wine making. 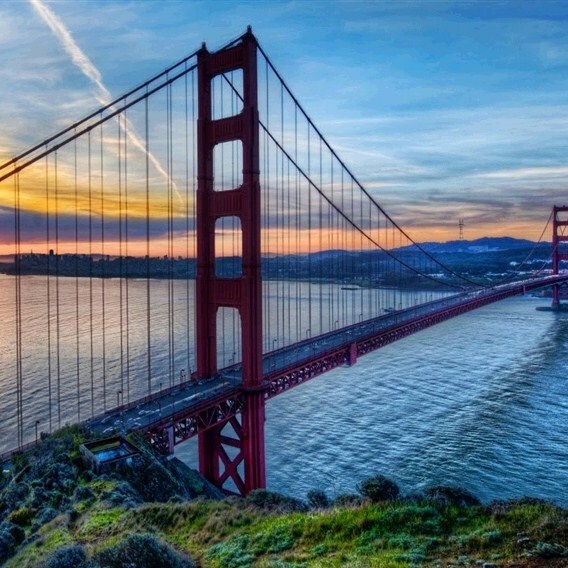 Continue southwest crossing the majestic Golden Gate Bridge to one of the world's most amazing cities, San Francisco. Check in for your two-night stay in the "City by the Bay". This morning enjoy a San Francisco City Tour including Union Square, Chinatown and Pier 39, Pacific Heights, the rolling hills of the Presidio and Golden Gate Park. The afternoon is at leisure to explore America's most romantic city or take an optional excursion to Muir Woods. Tonight enjoy a Farewell Dinner with your fellow travelers in San Francisco's famous Fisherman's Wharf. 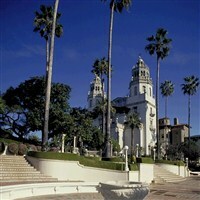 Today transfer to the airport and return with wonderful memories of your California Coast Tour. Includes: Round trip air from PIT, motorcoach transportation, lodging, nine breakfasts, three dinners, admissions and sightseeing per itinerary, hotel transfers, baggage handling and taxes. Walking Code 4: To truly experience the program and destination, you need to be able to participate in physical activities such as longer walking tours, walking over uneven terrain, clinbing stairs and periods of standing. Some of the touring days may be longer, with select included activities occurring later in the evening.